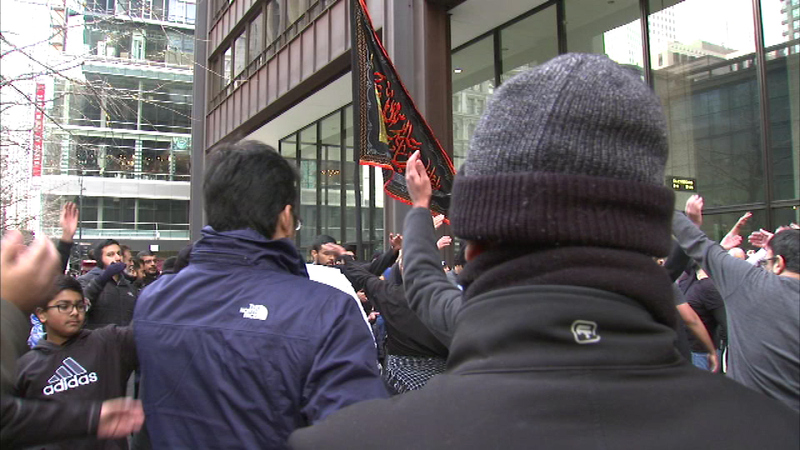 About 100 Muslims marched in Chicago's Loop Sunday to commemorate the death of the prophet Hussain. CHICAGO (WLS) -- About 100 Muslim men rallied to renounce Islamic extremism in Chicago's Loop over the weekend. Sunday's march for peace commemorated the death of the prophet Hussain, a seventh century revolutionary leader who fought for social justice. "So you see here people commemorating the sacrifices that he made to preserve the religion of Islam, maintain and keep it a religion of peace, of justice, of equality, you know, the morals and values its was founded upon and by his grandfather, the prophet Mohammed," one participant said. Organizers said they want to inspire people through the example of the prophet Hussain and bring about a positive change in the world.